Justin Bieber serenaded thousands of fans with his smooth moves and catchy songs Tuesday night at the United Center in Chicago. While visiting the 2013 Stanley Cup Champion’s Madhouse, the Biebs took the opportunity to snap some pics with Lord Stanley’s cup. Yup it’s as bad as it looks. Justin Bieber stepped smack dab in the middle of the sacred Blackhawks logo. Yet again the Biebs upped his status as a little dweeb. You don’t step on the logo. It’s a sign of alleged disrespect. If you do, a player or a PR flack or some other person in need of a hobby will bark at you to walk around it or stand someplace else. However in the picture above it doesn’t look like those guys in suits have much interest in making Bieber fever step off the logo. Apparently Bieber is too cool in his bro tank, Ray Bans and gold chains to appreciate tradition. Oh Biebs, maybe one day you’ll weigh more than 135 pounds and actually look as well as act like a man – here’s hoping. If you were getting excited for the 2012 NHL season, I’d suggest you hold your horses. 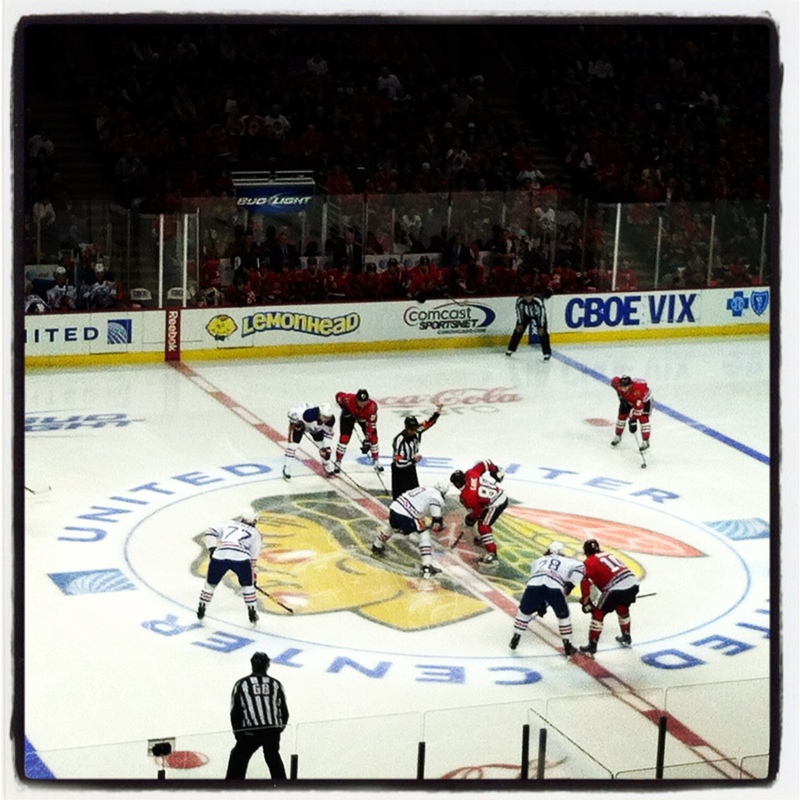 Thursday afternoon the dreaded news was announced – the first official two weeks of the NHL season have been canceled. Yep, that’s 82 games completely washed. The Blackhawks lose their first five games (Oct. 13 vs. Columbus, Oct. 16 at Winnipeg, Oct. 18 vs. Colorado, Oct. 20 vs. Detroit and Oct. 23 at St. Louis). Uh, yea we do. I just find the whole lockout scenario a bit “over-done” these days, specifically with professional hockey. Been there, done that. In 2004 the NHL suspended play for an entire season – that lockout wasn’t enough? I admit the 2004-2005 season lockout actually revived the NHL because some truly positive factors of play resulted from it (any hockey fan loves a good shoot out) and ultimately increased TV ratings and general popularity. This lockout is just making players and fans angry. Why can’t the season begin on time while negotiations are being worked on? NHL hockey players are looking into other options overseas – mostly the KHL (who has a new agreement with ESPN as well) to keep their skills sharp. Shouldn’t the NHL want to keep their players here? 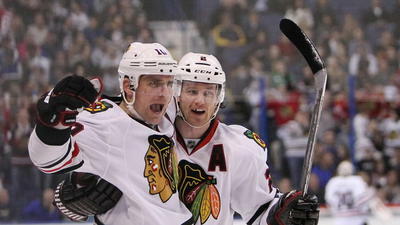 This lockout is depressing, our hockey hunks are leaving the U.S. and who knows when they will be back. Get comfortable, it looks like we’re going to be here in lockout-land for a while folks. Everyone loves a good hockey brawl, it’s one of the reasons the NHL is so entertaining. HOWEVER – the current Pittsburgh Penguins and Philadelphia Flyers playoff series is more of a novice UFC fight. Talk about a rivalry between the state of Pennsylvania. It’s the Penguins who are playing like dirty little birds out of frustration. Hot damn this was crazy, and this fight in the first period was just the beginning. Three players were tossed in the first period, even superstars Pittsburgh captain Sidney Crosby and Claude Giroux got in a scuffle. Each team had their top defenseman – Pittsburgh’s Kris Letang and Philadelphia’s Kimmo Timonen – booted to the locker room. Sharp or Keith? Do We Really Have to Choose? Well gosh, thanks for making it hard on us EA Sports! 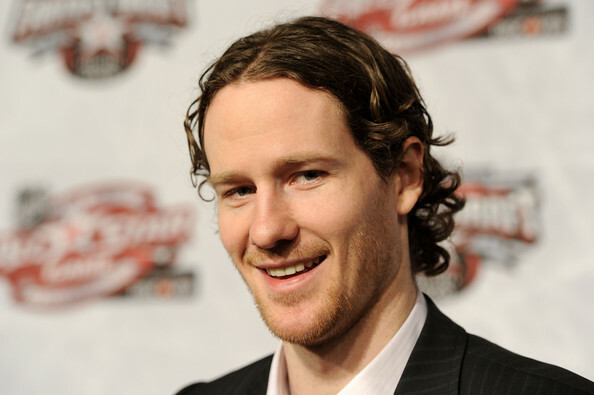 How are Blackhawks fans supposed to choose between Patrick Sharp and Duncan Keith? You sure we can’t have both? The two stars are vying for the spot to represent the Hawks in EA Sports’ fan voting contest, the winner will grace the cover of “NHL 13.” The voting will consist of two preliminary rounds, the first round has two members from each of the 30 NHL franchises (March 29-April 11), the second round is narrowed to 32 players – each winner from every team with two separate wild cards (April 12-22), and the final round is a 16-player bracket to produce a winner (April 12-22). The cover-contest champion will be announced June 20 at the 2012 NHL Awards in Las Vegas. So who do Chicago fans choose? They’re both assistant captains, they were both apart of the Stanley Cup Championship team, they would both look fancy on the cover of a video game. If we’re basing this on looks alone, my heart belongs to Patrick Sharp – his face is perfection. However, I also think their is a certain demeanor NHL defensive players have (who doesn’t love watching a man slam another man into the boards?) which gives recently suspended Keith an upper hand – we all remember when he got his teeth knocked out and kept playing. The RedEye Chicago also pointed out that Keith has a Norris Trophy and an Olympic gold medal, Sharpie might not be considered as “prestigious” to some. This is going to take some serious consideration. You can cast your vote by going to the Cover Vote page, by visiting the EA Sports NHL Facebook page or by tweeting your vote using the hashtag #NHL13Cover.